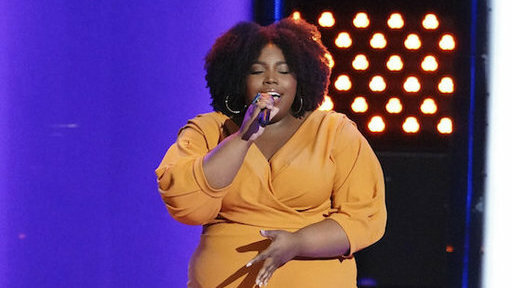 Kelly Clarkson used her block for the season, as Kymberli Joye tackled “Run to You”…and it paid off for the reigning champ. Clarkson instantly knew that Joye covering a Whitney Houston song would make her a prime candidate for Jennifer Hudson’s team; she was correct, as Hudson pressed her button shortly after Clarkson blocked her. But Clarkson and Hudson weren’t the only ones competing for Joye: Blake Shelton turned his chair, too, which meant Joye ultimately had to pick between Clarkson (the most recent victor) and Shelton (the most successful coach in terms of overall wins). Miss the show? Check out Joye’s performance—and her team pick—now! What did you think of Joye’s performance?